TECNO CAMON 11 VS TECNO CAMON 11 Pro: Will You Choose 4GB RAM or 6GB RAM? The Tecno Camon 11 and the Tecno Camon 11 Pro which are also known as the Tecno Camon X2 and the Tecno Camon X2 Pro are both the successor of the Tecno Camon X and the Camon X Pro smartphone. These phones are still under budget device but they have been upgraded with a better hardware and specs. You will also be getting a better camera on both phones as well. In this post, we will be comparing the Tecno Camon 11 with the Tecno Camon 11 Pro. The Tecno Camon 11 and the Tecno Camon 11 Pro sports similar design. Both phones look similar to the Huawei Y9 2019 smartphone and we have taken our time to compare both phones. 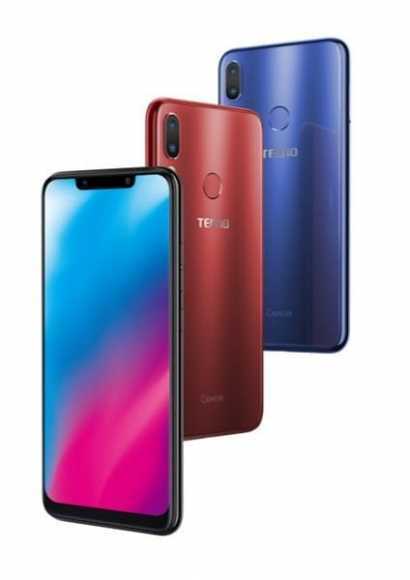 Design wise, they sport a notch on the front making them the first Tecno phone in Nigeria and Kenya with such feature. This shouldn’t surprise you because of Infinix and. iTel has introduced notch recently on their phones. The Tecno Camon 11 and the pro has body dimensions of 153.7 x 74.5 x 8.5 mm and weigh 158 gram. Both phones feature a rear-mounted fingerprint scanner with dual rear cameras and they are available in multiple colors as well. Even on the display as well, you won’t get a winner because they both have the same display size and quality. They have a screen size of 6.2 inches under IPS LCD capacitive touchscreen with a resolution of 720 x 1500 pixels and 268 PPI density. They have an 84.5% screen-to-body ratio with Asahi Dragontrail Glass covering the entire screen for protection. They both have the same dual rear cameras of 13 MP (f/2.0, AF) + 5 MP (depth sensor) with quad-LED flash and they feature HDR and panorama with 1080p@30fps videos resolution. On the front, the Tecno Camon 11 has a front facing camera of 16 MP (f/2.0, 1.28µm) with 1080p, and Face ID, while the Tecno Camon 11 Pro has an impressive front camera of 24 MP with f/2.0, 1080p@30fps, FaceID, and dual-LED flash. So the Tecno Camon 11 Pro will take better selfies than it’s rival as expected. On the hardware, the Tecno Camon 11 and the Tecno Camon 11 Pro has the same MediaTek MT6761 Helio A22 chipset with PowerVR GE8320 GPU for graphics. The Tecno Camon 11 make use of Quad-core 2.0 GHz CPU, while the Tecno Camon 11 Pro make use of Octa-core 2.0 GHz CPU. Both phones run on Android 8.1 Oreo operating system and they also have support for dual SIMs and 4G LTE data. On the memory, the Tecno Camon 11 has 3GB/4GB RAM with inbuilt storage of 32GB, while the Tecno Camon 11 Pro has a huge 6GB RAM with an inbuilt memory of 64GB which is also expandable with micro SD card up to 256GB. The Tecno Camon 11 and the Tecno Camon 11 Pro has the same nonremovable battery capacity of 3750 mAh. On the price, the Tecno Camon 11 will cost $160, while the Tecno Camon 11 Pro will sell at a price of $180. The Tecno Camon 11 Pro will perform better than the later. It has a huge RAM with improved hardware and camera as well. This, however, does not mean that the Tecno Camon 11 will not perform. Both phones will deliver in terms of performance and they will handle day to day activities with ease. So if you don’t have the money to buy the Pro version, the normal version will still give you what you want.